For the last six years, Leah has worked as a marine scientist for the International Game Fish Association (IGFA). In her role as conservation manager, Leah wrote fisheries analyses, position statements, press releases, and grant applications for IGFA, authored many articles in popular sportfishing publications including Marlin Magazine, Blue Water Magazine, Saltwater Sportsman, Florida Sportsman, Sporting Classics, Bisbee’s Conservation Journal, The Watery Rave, Offshore World, and FishTrack.com, and managed a suite of local and international conservation projects including the IGFA Great Marlin Race (IGMR), the largest billfish satellite tagging program in the world. 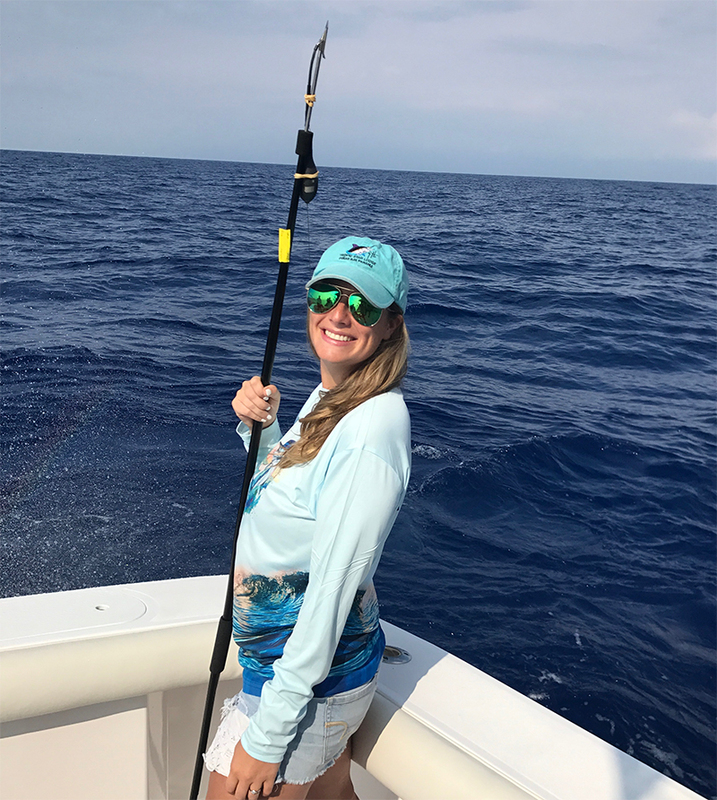 As director of the IGMR, Leah was responsible for organizing and participating in tagging events, collaborating with researchers to analyze tag data, creating technical reports, and most importantly, communicating and developing strong relationships with tag sponsors and contributors within the sportfishing industry. Prior to working for IGFA, Leah was employed as a researcher for the University of Victoria BC where she calculated the elemental composition of Trinidadian Neotropical stream fish (Rivulus hartii) using stable isotope analysis, and the University of Massachusetts Amherst where she calculated hatch dates and estimated growth rates of juvenile bluefish (Pomatomous saltatrix) inhabiting the Hudson River estuary using otolith microstructure analysis. Academically, Leah completed her BS degree in Environmental Science and Biology at the University of Massachusetts Amherst, and as an undergraduate, she investigated the over-winter energy dynamics and feeding behavior or juvenile bluefish inhabiting the northern Florida coastal shelf. Leah then went to Coastal Carolina University to pursue her MS degree in coastal and marine systems and she completed one year of graduate coursework which focused on applied experiment design/analysis, and marine and wetland ecology and processes. Leah is currently an active member of the American Institute of Fishery Research Biologist (AIFRB) and the American Fisheries Society (AFS), and has presented her research efforts in the 144th, 145th, 146th, 147th, and 148thannual meetings of AFS. Leah is passionate about fishing, science, and communication and is excited to bring her enthusiasm, academic background, and professional experience to direct Gray FishTag Research.